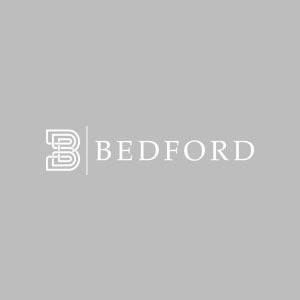 ﻿ The Bedford Group - Meet our team and hear from clients we've worked with. Making your organization better, one team at a time. 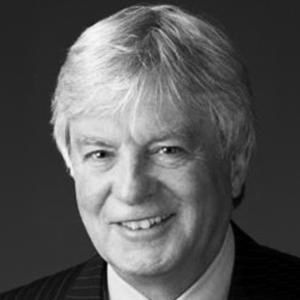 Howard is the co-founder and Managing Partner of Bedford—Canada’s largest independent executive search firm. For over 27 years, Howard has inspired leaders to choose his clients’ corporations for their careers. Howard’s particular areas of specialization include Life Sciences, Retail, Consumer Products, and Financial Services. Based in our Toronto office – repeatedly named Global Office Of The Year by Transearch International based on client satisfaction, innovation and revenue growth – Howard has been an integral part of Bedford’s continued excellence. Prior to founding Bedford, Howard served in a regional management capacity with a service corporation. Outside of work, Howard’s passions include his family, golf, and fitness training. Frank is the Managing Partner of Bedford’s Resource practice. In the course of his career with Bedford, Frank has placed hundreds of executives, operating and financial managers, and board directors into many of Canada’s emerging and established organizations. Clients call upon Frank to offer advice in all areas of their talent management needs – from compensation, assessment and performance, to metrics and strategy. Frank is especially passionate in strengthening Canada’s competitive position on the world stage. 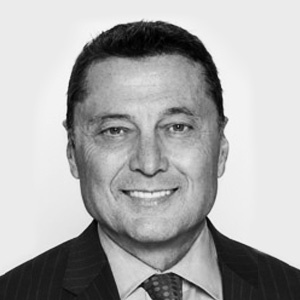 Before joining Bedford, Frank held CFO and CEO roles in some of Canada’s largest companies and brands, in addition to managing growing and emerging companies. Frank is a graduate of both the Universities of Toronto and Windsor, where he completed an MBA and a CPA. Outside of work, Frank enjoys music, fitness, running, as well as spending time with his wife and three daughters. Darren brings more than a decade of executive search and strategic consulting experience, where his work has been focused on clients in the specialty areas of Life Sciences, Consumer Products and Manufacturing/Distribution in Canada, the United States, Europe and Japan. Prior to joining The Bedford Consulting Group/TRANSEARCH in 2008, Darren spent time with an international executive search firm and started his career with a boutique healthcare consulting firm, where he authored a variety of reports on emerging, minimally invasive, medical-device technologies and consulted for some of the world’s largest medical-device companies. Today, Darren lives in Toronto with his family, where he is sought out as a thought leader in the field of executive leadership; his articles have been published in the Globe & Mail and he has been quoted in Fast Company magazine. Darren is a graduate of the University of Ottawa, where he obtained an Honours Degree in Economics. John joins Bedford with over 20 years of experience as a human resources executive, his previous roles spanning the mining, energy, semiconductor and banking industries. He was the Vice President, Human Resources for New Gold, and also held HR leadership roles with PMC-Sierra, Duke Energy, Westcoast Energy, and NatWest Group. John holds a post-graduate diploma in Human Resources Management from the University of Westminster. Bedford’s clients in Western Canada face unique challenges. John brings substantial industry knowledge and market experience, which offers him a unique ‘insider’s perspective’ that will better serve clients and help them shape outstanding talent strategies. 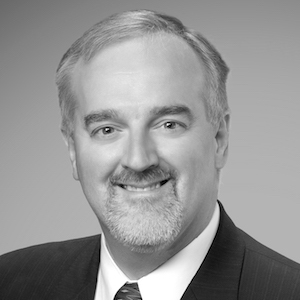 David MacPherson is the Partner for Bedford’s Energy and Industrial Technology Group, operating from our Ontario offices. He brings over 20 years of senior executive search experience, focusing on delivering top talent with efficiency and optimal fit. David has completed the majority of his assignments in the global electricity sector, which is in the early stages of its most dramatic transformation in over a century. The rapid expansion of distributed energy, combined with the newfound availability of data and analytics for utilities, will reshape how the world generates, distributes and consumes power. The majority of David’s assignments have been global in nature, including senior technical/commercial roles for SME and Fortune 500 companies in Atlanta, Boston, Singapore, Leeds (UK) and Bangalore. Stephen Diotte brings 35 years of corporate and consulting experience to Bedford, having worked in some of the field’s leading companies including McKinsey & Company, as Associate Partner, Mercer Human Capital Consulting as the North American Energy and Resources Leader, Deloitte Consulting in Calgary as Managing Partner and as Vice President Human Resources, Information Technology and Corporate Services for a publicly traded upstream oil producer. 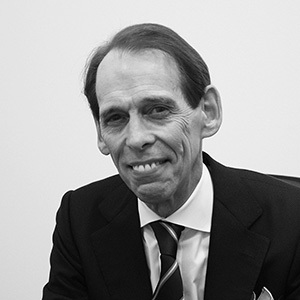 Diotte has a Master’s degree in Business Administration from the Richard Ivey School of Business, a Master’s degree in Industrial Relations from the University of Toronto, and a Bachelor of Arts degree from Carleton University. He is a Certified Management Consultant. Based in Toronto, Glenda brings extensive executive search experience through her role as a Principal with Bedford. Glenda’s specialty areas include technology, telco, communications, financial services, consumer packaged goods, retail, and distribution sectors across multiple functions. Well-versed in search on an international scale, Glenda has worked on projects extensively within Canada, the U.S., and Europe. With an extensive history of success in an ever-changing search industry, Glenda possesses a 20-year professional background with prominent international and boutique executive search firms, both in Canada and the U.S.
Glenda is a graduate of the University of Western Ontario, where she obtained her Honours Bachelor of Arts degree. Laurie brings over 25 years of experience in the executive search industry working with leading boutique and international retained search firms. A generalist, she has conducted senior level searches across a broad range of industries including financial services, technology, retail, and consumer packaged goods across multiple functional areas and geographies including Canada, U.S. and Europe. Laurie possesses an Honours Bachelor of Arts Degree from the University of Toronto, graduating in 1990 with Distinction. 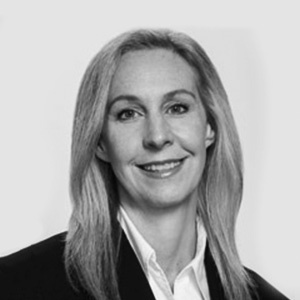 Victoria Ritchie is a Senior Principal at the Bedford Consulting Group Transearch. With more than 12 years of global executive search experience in Canada, the United States and Europe, Victoria brings deep consulting and candidate assessment experience across a broad range of industries including Retail, Healthcare, Consumer Goods and Financial Services. With a highly professional, collaborative and engaging approach, Victoria is deeply committed to an outstanding client and candidate experience and outcome. Prior to her career in Executive Search, Victoria began her career in human resources and recruitment in the healthcare, higher education and retail industries, early experiences that shaped her commitment to diversity, collaboration and executive & team development. Victoria earned her honours undergraduate degree from the University of Toronto. 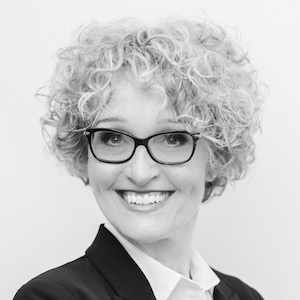 Miranda Galati is a Communications Specialist and Consultant for the resources and not-for-profit practices at The Bedford Consulting Group. Miranda’s multi-faceted role at Bedford provides her unique insight into all areas of the business, including full scope executive search, psychometric assessments, administration and business development. Prior to joining Bedford in 2016, Miranda worked on the marketing team at Deloitte Canada. She has led national marketing campaigns and events for Deloitte’s Enterprise Risk and Private Business groups. Miranda is certified to administer and interpret Hogan assessments. She holds an Ontario Graduate Certificate in Corporate Communications (High Honors) from Sheridan College, a Bachelor of Arts degree (Honors) from The University of Guelph, and additional continuing education in social media and web copywriting from The University of Toronto. She is currently pursuing a Bachelor of Science degree at Western University to fulfill her personal interest in health and nutrition. 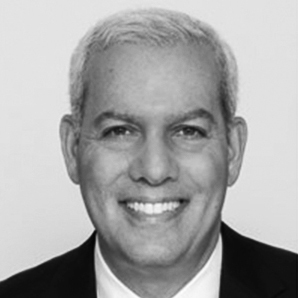 Mauricio Montano is a Senior Consultant for Bedford Resources, leading the firm’s Latin American practice. He is fully bilingual in English and Spanish. 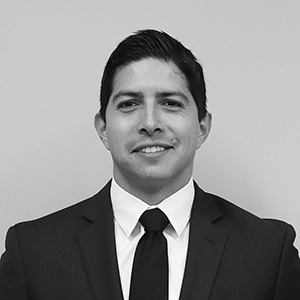 Mauricio has over nine years of experience in full-cycle recruitment across all industries, including mining, oil and gas, manufacturing, logistics, warehousing and automotive (amongst others). Mauricio’s experience spans Canada, the United States, Mexico, Latin America and Europe. He has deep expertise and interest in the mining sector, and he is active in industry events. Prior to joining Bedford, Mauricio specialized in recruitment for technical and contract roles in large mining organizations. In this capacity, Mauricio managed client accounts of up to 50 contractors, leading all recruitment activities and serving as the main contact for all contractor and client interactions. This experience equipped Mauricio with an in depth understanding of the unique requirements of the mining and resources sectors, instilling a passion for the utilizing the value of talent in organizational growth and operational success. Mauricio attended Humber College, where he studied Business Management. Outside of work, he loves all things sports-related, including soccer, golf, tennis, hiking, snowboarding and swimming. Peter Dunkerley is a Principal at Bedford Resources. He recruits for clients in the power generation, infrastructure and construction sectors. Peter has directed recruiting initiatives in Canada, Europe, the U.S., Mexico and South America. Prior to joining Bedford, Peter was the head of human resources at Northland Power, an IPP with operations in the Western Hemisphere and Europe. His responsibilities encompassed talent acquisition for C-suite to control room, culture, benefits, employee relations, union negotiations and compensation. 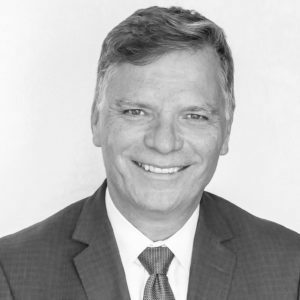 Peter has recruited executives, engineers, and construction and operations personnel, and he has personal experience working with and hiring First Nations people. 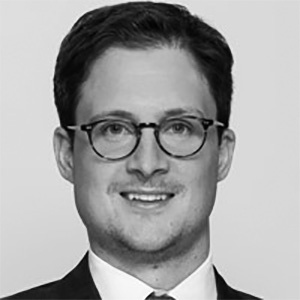 In addition to North American projects, he has experience with European offshore wind and LATAM wind and solar. In 2014, he opened a Northland office in Mexico City and hired the country manager. His background includes human resources consulting for clients in CPG, retail automotive, power generation, land development and construction. Early in his career, he was with Burson-Marsteller and Caterpillar. Peter was educated at North Carolina State University, Graduate School in Industrial Design, and the Ontario College of Art (OCAD). Elizabeth is an award winning executive recruiting professional with over 11 years of experience leading retained executive search mandates. Having worked at Amrop Knightsbridge and Odgers Berndtson, 2 global firms, prior to working with The Bedford Group, Elizabeth has gained a wealth of knowledge and experience across a spectrum of industry sectors and functional areas. Elizabeth was recognized by The Association of Executive Search Consultants (AESC) winning the award for Excellence and Professionalism in Research. Prior to joining the executive search industry, Elizabeth spent three years with a global events company directing sales campaigns for executive attendance acquisition at business strategy summits and conferences for Fortune 500 companies across North America. Elizabeth holds a Bachelor of Arts, Honours degree from Trent University and a Diploma, Honours in Journalism from Durham College. 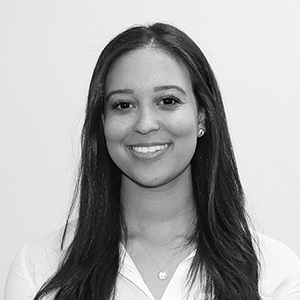 Cierra is a Consultant at the Bedford Consulting Group based out of the Toronto office. Cierra leads the Research function, providing research, recruitment and business development support to the Managing Partners and Principal Consultants, while also ensuring the top quality client and candidate experiences from start to finish. Cierra is responsible for supporting a broad range of practice areas including Technology, Telecommunications, Consumer Packaged Goods, Retail, Financial Services, Pharmaceutical and Life Sciences across North America. Cierra is a graduate of Western University, where she holds a Bachelor of Management and Organizational Studies degree with a specialization in Human Resources. Cierra is a member of the Human Resources Professional Association and has received her CHRP designation. Arwa Nasrallah is a Research Consultant at The Bedford Consulting Group, with primary focus on the not-for-profit and natural resources practices. Arwa’s role at Bedford spans the entire recruitment process, including needs assessment, research and interviews, as well as business development activities for the firm. 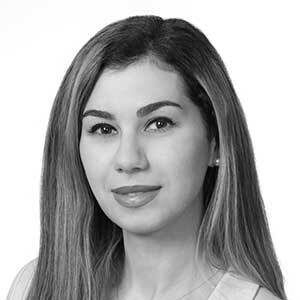 Arwa joined Bedford in 2018 with nearly five years of experience in executive search consulting and research, including her most recent roles as Executive Search Consultant with Optimum Talent and Senior Researcher for AMROP. She has taken part in several senior and C-suite level search assignments for international clients in government, pharmaceuticals, retail, finance, higher education, and industrial manufacturing industries. Arwa prides herself on her ability to build instant rapport with clients and candidates to ensure optimal fit and maximal satisfaction from all parties. Arwa holds a Master of Arts from The University of Warwick (UK), and a Bachelor of Arts (Honors) from The University of Essex (UK). She is fluent in Arabic with working proficiency in French. 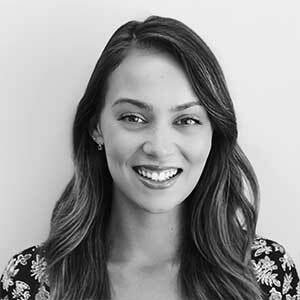 Sarah joined Bedford in 2018 as a consultant based out of the Toronto office, bringing past research experience from her time at a global media agency. She progressed into recruitment to merge her desire for information with her passion for fostering new relationships. Sarah graduated from the University of Toronto in 2016 with an Honours Bachelor of Arts degree. Outside of work, Sarah enjoys participating in running and yoga events that support various charitable causes. 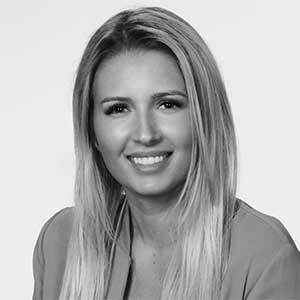 Angelika Misiewicz is an Associate Researcher at The Bedford Consulting Group, supporting the firm’s natural resources and not-for-profit practices. She provides thorough research support to the Managing Partners and Principal Consultants, while also ensuring outstanding client and candidate experiences. Angelika joined Bedford from Oakdale Golf and Country Club, where she championed management of the human resources function for the golf department for over two years. This role provided her significant experience in full-cycle recruitment, as she held primary responsibility for recruitment, training and employee relations. Angelika’s passion for human resources and talent management allows her to provide exceptional client care on all engagements. Angelika graduated from York University with an Honours Bachelor of Arts degree, majoring in Human Resources Management. She is fully bilingual in English and Polish. Steve Litwin is a senior information technology executive with over 28 years experience. He helps our clients manage their technology challenges and provides a high level of expertise that allows organizations to achieve their technology-enabled business goals. Prior to founding Litcom Information Services in 2003, Steve led the Canadian I.T. practice for Cap Gemini Canada (formerly Ernst & Young Management Consultants). His early background includes work with a number of leading I.T. Solution providers including Deloitte & Touche Consulting, SHL Systemhouse, and Synerlogic (a division of Accenture). Steve is a Certified Management Consultant and holds a Bachelor of Science from the University of Toronto, as well as a Diploma in Computer Programming from Control Data Institute. Steve has returned on numerous occasions to his Alma Mater, University of Toronto, to lecture on I.T. related subjects. John Burdett has worked in over 40 countries as an executive and as a consultant for businesses that are household names. He has worked on and continues to work on leadership development and organization culture for some of the world’s largest corporations. John’s partnership with the Bedford Consulting Group and TRANSEARCH INTERNATIONAL means that his proprietary work on talent acquisition (The Orxestra Method) has supported many hundreds of top leadership appointments on six continents. John holds a doctorate in management development and since 2000 has published ten best-selling books on leadership, talent management, coaching and organization culture. He recently completed his highly lauded talent trilogy: Talent (2013), Team (2015), and The Empty Suit (2016). His latest book is The A-Z of Organization Culture (2017). Available on amazon ca. John lives in Toronto. Based out of the Toronto office, Fiona provides Executive Assistant services to Howard Pezim, Managing Director at the Bedford Group, and Project Coordinator support to the Principals and Consultants. Fiona holds additional responsibility as event planner and hostess for Executive Roundtables, Seminars and Client/Employee events. 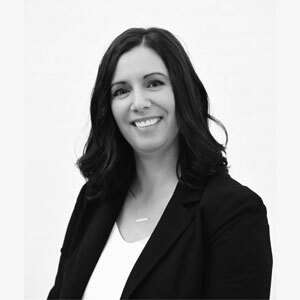 Fiona brings a wealth of experience gained over the past 25+ years working in advancing administrative roles for some of North America’s best-known retailers, telecommunications and food services companies. Fiona has supported Vice Presidents in sales, finance, human resources, legal and customer relations management sectors. Zachary Wan is the Project Coordinator to Steven Pezim, Managing Director at the Toronto office. 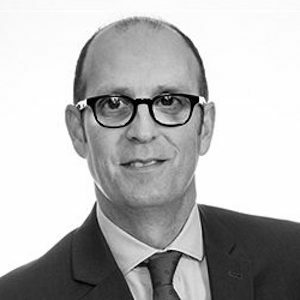 He provides oversight to administrative and reception areas with a dedicated focus to clients in the technology, financial services and CPG sectors. In the past, Zachary provided administrative support at one of Canada’s leading health and wellness providers. Zachary holds an Honors Bachelor of Arts in History and Sociology from Western University. Based in Bedford’s Oakville office, Tina holds responsibility for the management of day-to-day operations while providing administrative support to Frank Galati, Bedford Resources’ Managing Partner, as well as overseeing project coordination and other tasks for Frank and the Principals. Tina has 25+ years administrative experience working with presidents, general managers, and vice presidents for some of North America’s best-known CPG, pharmaceutical and construction companies. Tina’s professionalism and passion for her career is only surpassed by her desire to provide superior customer care, affording Tina many advancement opportunities throughout her progressive career. Since 1997, Flori has been providing accounting support to the management and staff of Bedford. Prior to joining the company, Flori held key senior accounting positions with several real estate developers, construction managers and property managers well known in their industries in the Toronto area. She brings a solid accounting knowledge and professional dedication given her 35 years of business experience. Flori graduated from St. Paul University Manila, Philippines, where she holds a Bachelor of Science Degree in Accountancy.